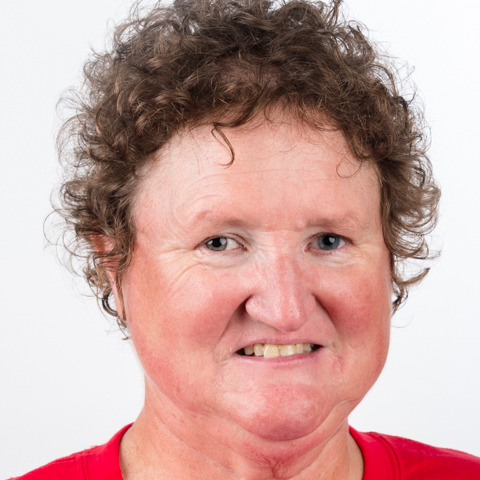 Grace Anne Braxton has been a Special Olympics golfer and swimmer since 1981. In March at Special Olympics World Games Abu Dhabi, she will focus her engergy on the green. She took home gold in golf high performance singles at the 2018 Special Olympics USA Games in Seattle. In 2007 and 2011, she was the top-rated female Special Olympics golfer in the world, and she’s looking for another top spot on the Special Olympics podium in Abu Dhabi. Her favorite Special Olympics moments include competing at World Games in Greece, China and Minnesota, as well as several USA Games. Grace Anne says, "Special Olympics has helped me become an active person in my community. I help out as a volunteer with Basketball Championships and as a volunteer with new local golfers." Outside of Special Olympics, she likes to watch cooking shows, do word search puzzles, and be a cool aunt to her two nephews.